So it had finally came to an end. 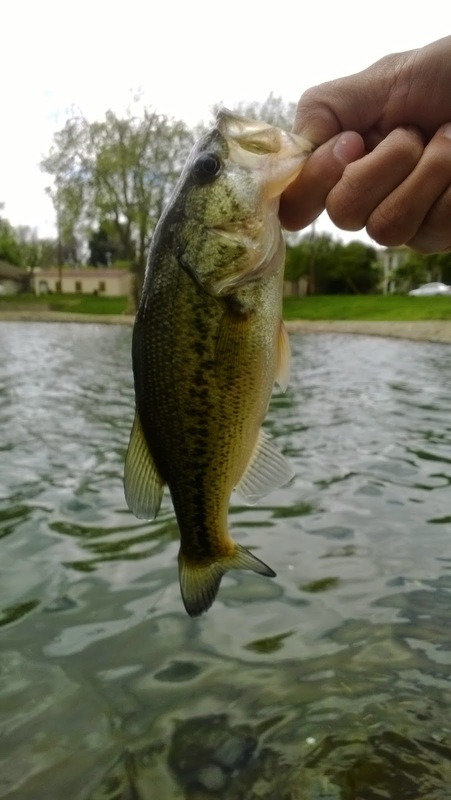 I ended my Spring Break fishing Ellis Lake. With winds up to 15mph and with a high of 70 degrees it was going to be a tough one. The lake was starting to turn over with warm water temps. I was using my 3wt this time and started with the north lake first as usual. 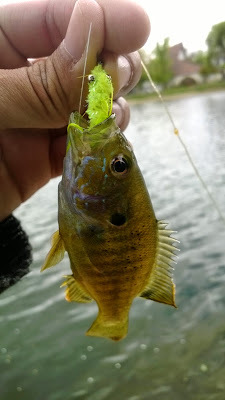 With no luck after covering a lot of water I switch the south lake. The south lake was fishing a lot better and I hooked several fish close to the bank near the rocks. They weren't the biggest bass I've caught but its better than nothing. I lost a lot of flies that day and was worried that I would run out of things to throw. I just tied and refilled my fly box with new patterns that I will be trying out. New motto for Ellis Lake. Simple to tie yet effective to fish just in case they get snagged. Overall it was a decent trip. There were quite a few people fishing but I didn't see anyone catch anything. It was really windy that day and that might have put the fish off a little bit. Some day I'll catch a lunker out of there I just know it.